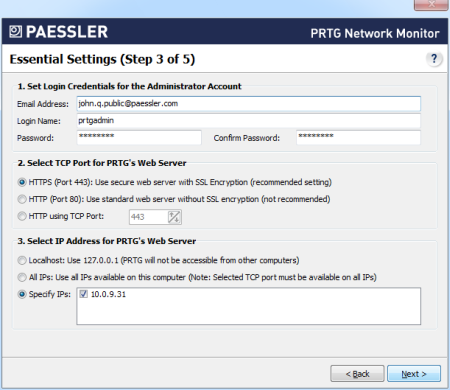 I want to integrate an existing PRTG version 8 server into a failover cluster with two PRTG version 8 installations. 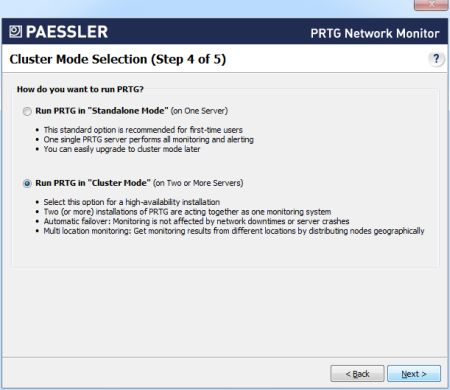 Your aim: Integrate an existing PRTG version 8 server into a failover cluster with two PRTG version 8 installations. Your existing installation will be the cluster's master node. 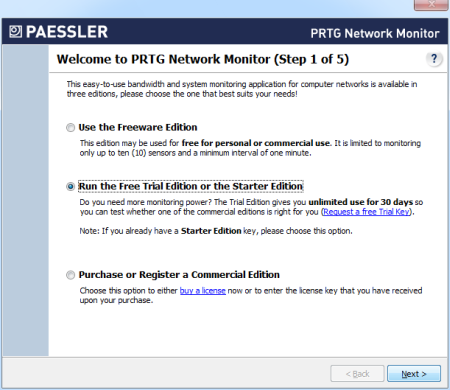 From the Start menu, open the PRTG Server Administrator program. 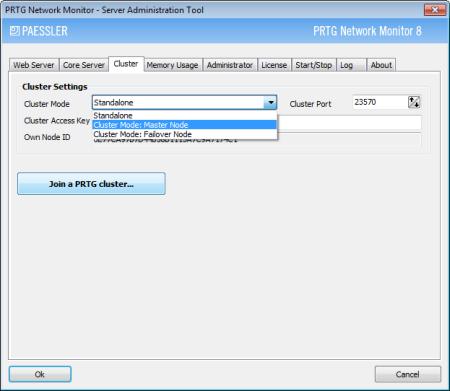 In the Cluster tab, change the cluster mode from Standalone to Cluster Mode: Master Node. A Cluster Access Key is automatically generated and does not have to be changed. 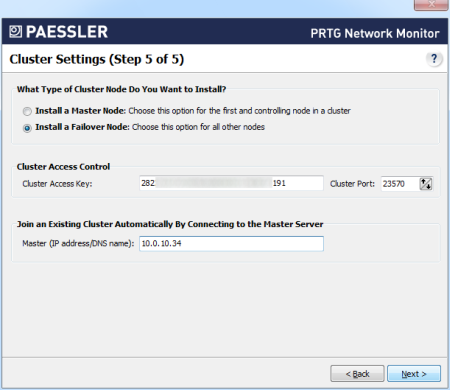 You can leave the standard setting for Cluster Port. Save both cluster access key and port number in a text file for later use; you will need it in the cluster settings on “Failover Node“ server (step 6). Time to take a deep breath. Continue with the next step. That’s it. You’ve now successfully set up your failover cluster. 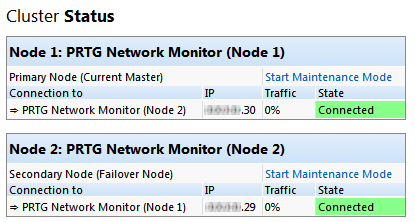 All devices that are created or moved under the Cluster Probe will be monitored by all servers in the cluster. In order to monitor your existing configuration via all cluster nodes, on your master node, please move your groups, devices, and sensors from the local probe to the cluster probe! Objects including their settings will then automatically be transferred to all cluster nodes. Please repeat Step 4 to Step 9 for each additional failover node you want to set up.